Treatments Prescribed For Lower Back Pain Are Often Ineffective, Report Says : Goats and Soda And the number of sufferers is expected to increase, especially in lower-income countries as people in rural areas move to urban centers and adopt more sedentary lives. So what can help them? Chances are, you — or someone you know — has suffered from lower back pain. It can be debilitating. It's a leading cause of disability globally. And the number of people with the often-chronic condition is likely to increase. This warning comes via a series of articles published in the medical journal Lancet in March. They state that about 540 million people have lower back pain — and they predict that the number will jump as the world's population ages and as populations in lower- and middle-income countries move to urban centers and adopt more sedentary lives. 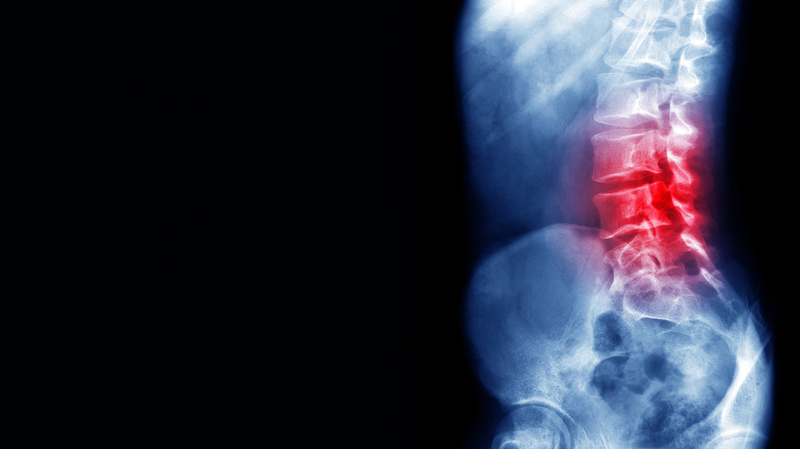 "We don't think about [back pain] the same way as cancer or heart attacks. But if you look at disability it causes, especially in middle- and low-income where there isn't a safety net, it impacts half a billion people," says Roger Chou, a physician who is a pain specialist at the Oregon Health and Science University and a co-author of the articles. Disability from chronic back pain can hurt a person's ability to earn a living. One of the Lancet studies found that among rural Nigerian farmers, half reduced their workload because of back pain — an example of how the disability could contribute to the cycle of poverty in countries that lack benefits such as sick days or a social safety net. Another study from Australia found that people who retired early because of back pain potentially lost out on hundreds of thousands of dollars of accumulated wealth when compared with healthy people who worked all the way to 65. An overarching issue with back pain management is that the treatments doctors prescribe are often the wrong ones, the report concludes. Also, in many low-income countries, accessing health care is challenging — and getting appropriate care of back pain, specifically, is even harder. In some poor parts of Asia, pain medications are hard to come by and doctors may not have been trained on the most effective treatments. "For chronic back pain, ineffective therapies are used way too often, and things that are shown to work are significantly underused," says study co-author Judith Turner, a clinical psychologist specializing in pain management at the University of Washington School of Medicine. For most people with back pain, guidelines developed by pain management specialists at the American Pain Society and the American College of Physicians recommend staying active, using cognitive behavioral therapy and techniques like focused breathing, and getting regular exercise. But doctors are more likely to recommend rest, decreased physical activity and treatments such as surgery or injections. Lack of awareness among both the general public and doctors who are not pain management specialists is a big reason. Another reason many doctors aren't following the guidelines is because, in countries like the U.S., surgeries, injections and medications, like opioids, tend to be better covered by insurance than psychological interventions like cognitive behavioral therapy or patient training. "Our understanding of what causes low back pain is very limited. We have very little knowledge about what exactly is causing the pain," says Andrea Furlan, a pain researcher at the Institute of Work and Health in Toronto and a pain management physician at the University of Toronto School of Medicine. A complex matrix of factors is implicated in back pain including genetics, social and psychological causes, and chronic conditions like obesity, smoking and insomnia. Treatments such as surgery, injections and opioids only address a narrow subset of those factors. It has been difficult for researchers to tease out how those causal factors interact, so the ability to treat back pain is still rudimentary. Pain management doctors and researchers say they would like to see a shift toward evidence-based treatments that recent guidelines recommend — emphasizing nonpharmacological treatments for most patients. In 2010, the back and neck pain group at Cochrane, a nonprofit organization that reviews and analyzes medical literature, assessed 30 studies of behavioral therapies for back pain, which included almost 3,500 patients. Andrea Furlan is also an editor for the group. The researchers found that cognitive behavioral therapy and other behavioral therapies were more effective at relieving pain than what is usually prescribed — physical therapy and medication. The team also reviewed the literature and found that individual patient education classes about coping with back pain helped. Furlan says she worries about deaths from opioid overdoses that started with a prescription for back pain — and complications of surgeries and injection treatments. "This is a big part of the origin story of the opioid epidemic," says Steven George, a physical therapy researcher at Duke University. Like Furlan, he was not involved in writing the Lancet overview. He noted that the series of articles explain "why chronic pain is such an important issue and why we haven't been able to make inroads." But moving closer to the guidelines would require more access to treatments other than medication, greater insurance coverage of these treatments and greater training for doctors in alternate treatments. Turner says such training is already happening for health care providers from Southeast Asia. What's clear is that the solution "has to be tailored," she says, to the culture and health care system that already exists in a country.